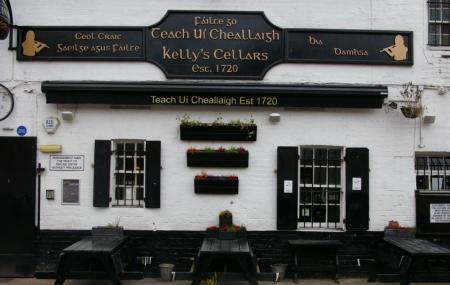 Kelly’s Cellars is a happening pub in the city of Belfast. Popular for excellent music and delectable delicacies on its extensive menu, the pub also has a range of beverages. The classy and elegant ambience and the vibrant atmosphere of the pub are sure to make you never want to leave the place. Planning a fun night in Belfast? It awaits you at Kelly’s Cellars. How popular is Kelly's Cellars? People normally club together Visit Belfast Welcome Centre and Shankill Road while planning their visit to Kelly's Cellars. People also prefer to end their day with Kelly's Cellars. May be the fact that this is a 300 years old establishment is what really excited me the most. But we loved this place. It absolutely showcases that old world charm. And we definitely fell for that. Although it is also known for its live music scene adding to its ambience, we were caught unaware that Monday is the only exceptional night. Sad we missed that part of the fun. Very cool place. Traditional music, friendly atmosphere, good people. Highly recommended. This is probably one of the best bars in Belfast and probably one of the oldest. It's got loads of history laden out on the walls to read . The bar staff are very friendly and welcoming, you can even get a lovely bowl of Irish stew with on the side crusty bread which fantastic.so if anyone is visiting Belfast this bar has got to be the one you must visit.